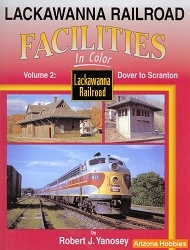 Scenes Along the Rails is the anchor title for a series of books planned to pictorially explore the railroads and related industries of Pennsylvania, New York, New Jersey and New England. The first 25 years of the 20th century-perhaps the busiest time for American railroads-forms the time frame for the series. Part 2 of Volume 1 centers on the High Plateau and Endless Mountains area between Wilkes-Barre and Sayre, Pennsylvania. 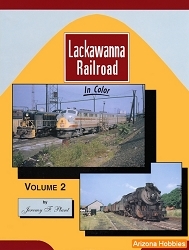 The Lehigh Valley Railroad's Pennsylvania Division and its Bowman Creek and State Line and Sullivan branches comprise a significant portion of this book. Mining operations in sections of the Northern and Bernice coal fields are depicted along with scenes of the major lumber company towns of Laquin, Masten, Lopez and Ricketts. 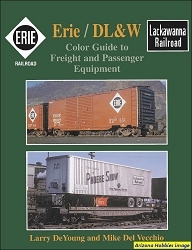 Depot Square Publishing, hardcover with dust jacket, 152 pages, 8.5 x 11 x .5 in., 193 photographs and 6 maps; index.